LILIN video management system solution provides services for hotel business including daily video surveillance, employee training aide, vehicle traffic control, average daily customer flow, and hotel security system. 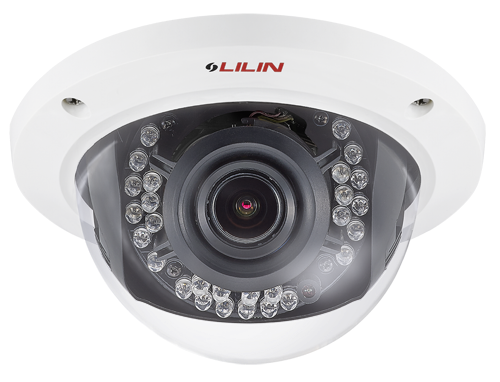 LILIN, offers a wide range of network based products including HD IP cameras with high compression rate, panorama network cameras, VD022 video decoder, People Counting analytics, integration video delivery tied in with credit card machine and ePOS (electronic point of sales) system, ANPR (automatic number plate recognition) technology, and CMX (central video management software). Other than the products and services mentioned above, the high compression rate provided by LILIN is able to help reducing hard drives required. In addition, Sense Up+ technology is able to be applied at the driveway environments and see color video at night, without the use of infrared illuminator – energy saving as a result. Also, Auto Focus technology will help to save relevant labor cost and time consumption, and with all the features listed, LILIN has what it takes to construct a well-thought-out round-the-clock hospitality-specific video surveillance solution. Check-in concierge level lobbies, main exit and auxiliary exit can adopt FD2452 panorama fisheye camera. Being mounted on the central ceiling area to capture 360° complete surround view or the option to choose install the fisheye camera vertically against the wall in capturing 180° panoramic view. FD2452 has a built-in removable IR cut filter, 24/7 non-stop operation surveillance camera function, and able to see clearly even during nighttime without sufficient lighting support. FD2452 is equipped with built-in microphone, audio recording feature to record customer and staff conversations, and through CMX (central video management) recorder transitioning into AVI files for training purposes. FD2452 panorama network cameras have 1.05mm fisheye lens, de-wrapping hardware technology to recover untwisted true viewable footages. FD2452 is available to deliver two 180° panoramic view or one 360° surround view + two PTZ view. No loud motor noise and mechanical maintenance issue, which provides flawless check-in counter area footages. Credit card machine and ePOS system are able to synchronize with CMX recorder via RS-232 transitioning into TCP/IP protocols. All transactions made by ePOS and credit card machine system are recorded for future references and audit-related management. Hotel’s corridors can adopt L series IP cameras with 9:16 aspect ratio Corridor Format for vertically oriented video streams. Compare to general 16:9 recording mode, Corridor Format is about seeing everything in absolute clear view with high resolution rate. Thanks to LD2222 IP camera’s compact form factor design, guests will not be bothered by their presence. 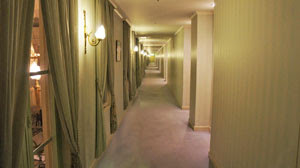 L series cameras are the ideal selections to be employed at long and narrow hallway areas. Sense Up+ within LD2222, which has high sensitivity in low light condition and no motion blur. Replacement of IR supplement technique at corridor environments, still able to provide color video outputs, this can save a ton of electricity costs for the long run. Welcoming driveway, main entrance and exit, where would require lens can be managed and zoomed. The fully IP-66 water proof certified IPS420E (outdoor) or IPS520 (indoor) speed domes are designed specifically to be applied in harsh environments, featuring 20X optical zoom lens and superb quality Full HD 1080P video outputs. The speed domes apply PoE (Power over Internet) for convenient configuration while installing the cameras – this can greatly minimize total installation time. LILIN speed dome are perfect to be used in both indoor and outdoor parking facility. With the help of LILIN CMX ANPR (automatic number plate recognition) technology being employed at the vehicle entrance gate, is able to analyze and recognize license plate numbers. ZD2322 and ZR2322, are designed in a mini glassy dome form factor, 150mm diameter in size, and embedded mounting design are able to fit into restaurants, offices, conference rooms, lounge bars, and upscale retail stores. ZR2322 network camera is equipped with infrared feature, still has the ability to provide top-notch quality video outputs even in absolute no light condition. Z series network cameras have built-in Auto Focus technology, is capable of effectively positioning the cameras at the right focus angle in 30 seconds – this saves at least 40% installation time. Remote focusing feature from a distant location is available as well. Management team at hotels is given options to control zoom-in and zoom-out function after 3X optical zoom lens is installed in place. Z series cameras have a built-in removable IR-cut filter, AGC (automatic gain control) feature to produce usable images, and WDR (wide dynamic range) enhancement feature to accurately display the details of both the brightest and darkest area in a scene. 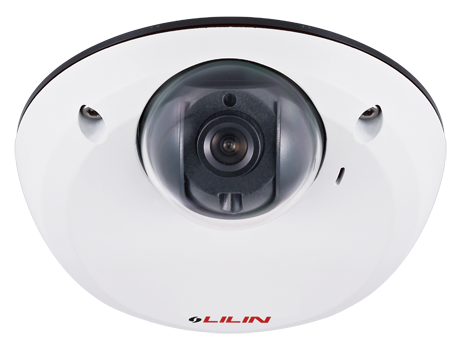 LILIN Pro series Full HD IP cameras are equipped with Sense Up+ technology. Eco-friendly energy saving design delivers exceptional video outputs at low light environment. iMEGAPRO series is especially great for parking entrance gate to capture crystal clear image without installing additional infrared illuminator– saves electricity bills on a long-term basis scale. 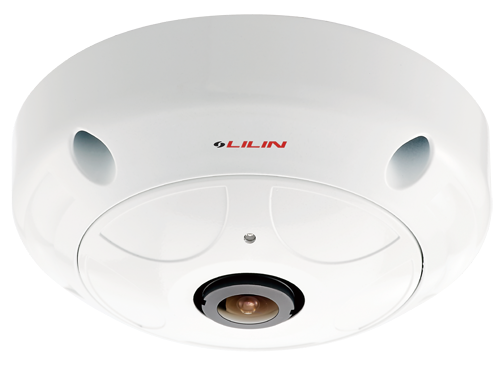 LILIN Pro series Full HD IP cameras have built-in 3D digital noise reduction (3D DNR). 3D DNR has the capacity to effectively handle the traditional frame-to-frame noise reduction, and at the same time incorporate spatial noise reduction. The entire scene is processed by 3D DNR technology that every part of the image is clear and noise-free. Full HD 1080P resolution only requires 3Mbps bandwidth support; this can greatly ease hard disk space loading. In addition, WDR (wide dynamic range) technology is capable of dealing with direct lighting in the day and near total darkness in the evening. WDR is suitable to be deployed at hotel’s main and auxiliary exits to accurately identify incoming and outgoing customers. For hospitality management, LILINViewer application on iOS operation system is an ideal way to create the peace-of-mind for managers who are always on the move to view real-time actual video feed at any time. 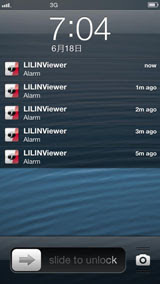 LILINViewer app pushes the actual video feed of any disturbance and send accurate and instant notification with an option to view the real-time video playback to assess the situation. LILINViewer is able to synchronize with LILIN NVR, DVR, and IP cameras with built-in SD card redundancy. LILIN’s mobile app – LILINViewer, is the most efficient way to assist hotel managers to well manage and monitor hotel daily operations. LILIN’s CMX1108 recorder, is capable of recording up to 108-channel H.264/MJPEG Full HD IP cameras and/or DVR/NVR recorders. CMX1108 has the ability to connect with 108 pieces of IP cameras displayed onto large screen external monitor, and acts as TV Wall application outputs. It is capable to extend many more outputs when coupled with VD022 video decoders. Without using PC device, VD022 consumes only 17W energy saving spec design, to deliver virtual matrix system and manage groups of videos. LILIN developed solutions to satisfy all hospitality-specific needs, and designed with a number of unique features that are easy-to-use. ePOS system is tied in with CMX1108 recorder in such a way that alarms can be raised on events such as till draws being left open. 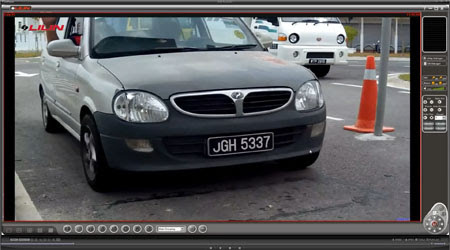 ANPR technology is integrated in CMX recorder – it can read vehicle registration plates. CMX also embedded People Counting analytics, allows hoteliers to measure hourly traffic levels and evaluate performance across the whole chain. eMap feature live video are available in CMX to provide handy tools to manage floors, and automatically provide alarm-related video footage. CMX1108 recorder can help staff at hotel central security department to systematically manage videos and filter out unauthorized vehicles from entering the facility. High-class retail shops, upscale restaurants, and conference meeting centers are the kind of places where need absolute noise-free disturbance. LILIN’s NVR404C is designed with no fan, it is an ideal product to be installed in such upper scale facilities. 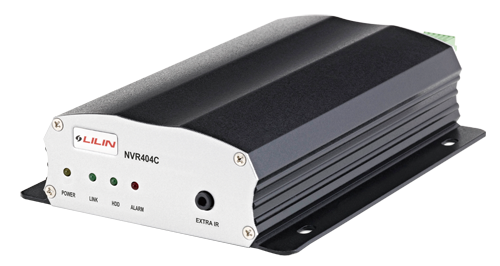 NVR404C is also able to in synch with CMX recorder and provide remote video management. Hotel solutions provided by LILIN focus on 1) small and exquisite form factors to fit into hotel’s decoration style, 2) eco design helps reducing operation and installation costs, 3) video management provides checked in guests receive worry-free stay which they deserve, 4) recorded videos are good education materials for staff training purposes, and 5) via ANPR and People Counting analytics, to effectively manage and summarize customer traffic flow. Motels, hotels, and resorts can take great advantage of LILIN’s surveillance solutions to supply comfort peace of mind environment. LILIN cameras’ compact form factor design, guests will feel safer and not to be bothered by their presence. Labor installation costs and operation cost, which LILIN has taken into account at initial designing stage, i.e. 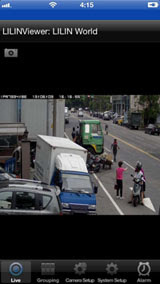 Sense Up+ will cutback use of infrared-based cameras, 3D noise reduction technology can efficiently reduce hard drivers usage, eco-friendly VD022 video decoder can use of TV Wall application without depending on a PC, and ANPR technology is able to cross-check vehicle registration plates. LILIN’s well-rounded hospitability-specific video management provides all visiting guests and employees at hotel the safest environments.